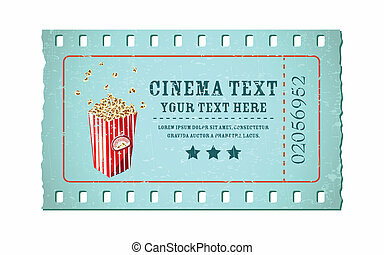 Vintage movie ticket. 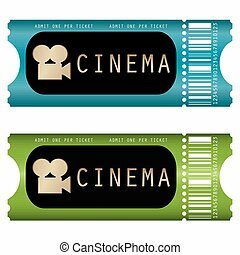 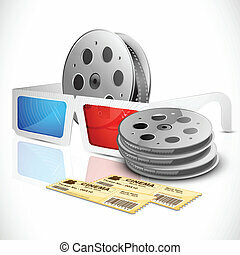 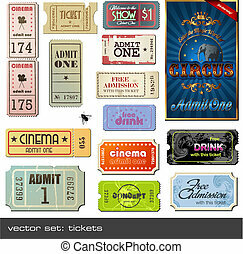 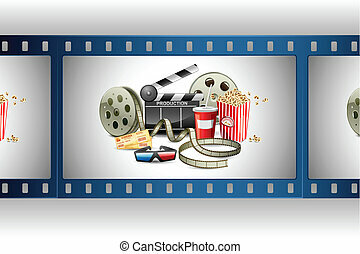 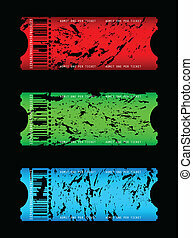 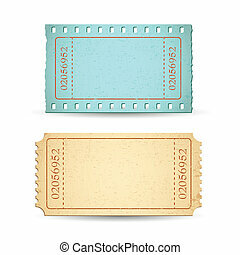 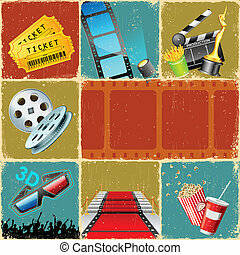 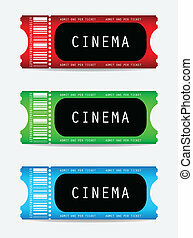 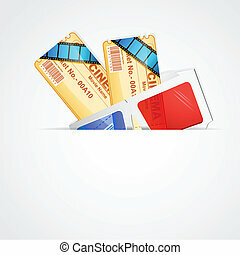 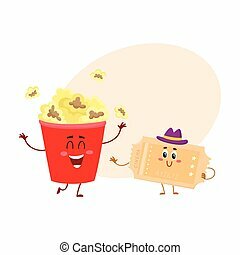 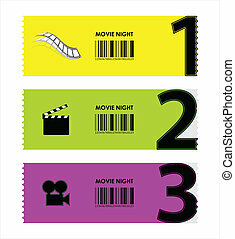 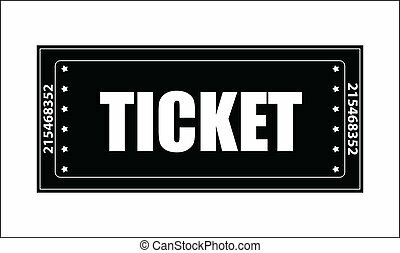 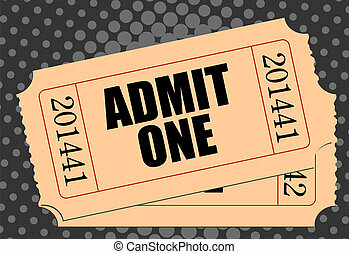 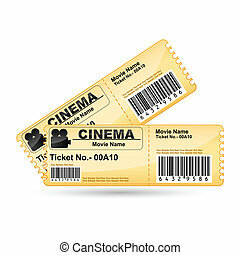 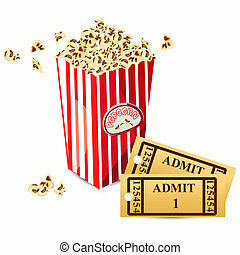 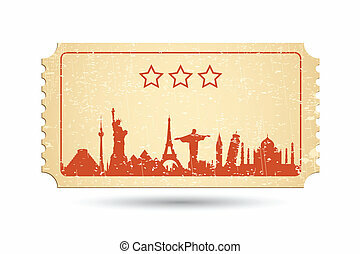 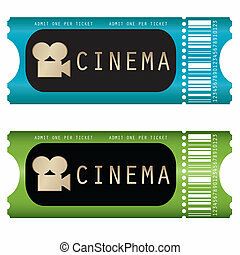 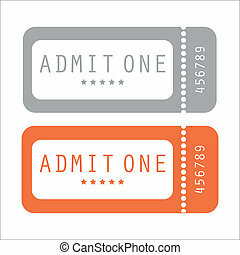 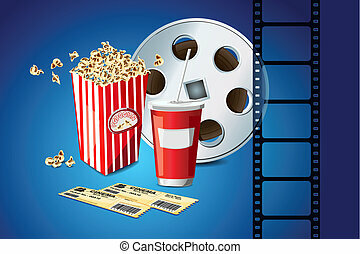 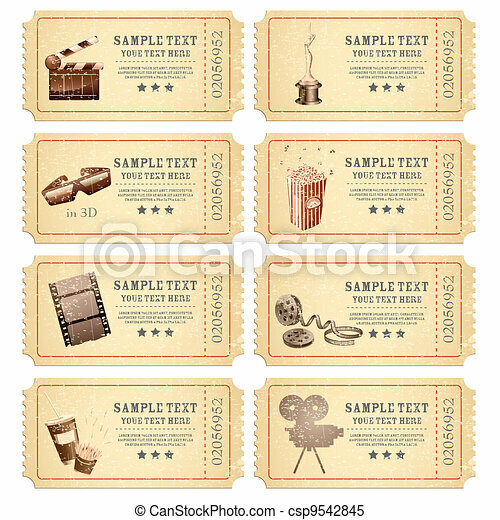 Illustration of set of vintage movie ticket with different film related object. 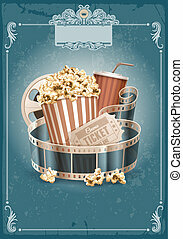 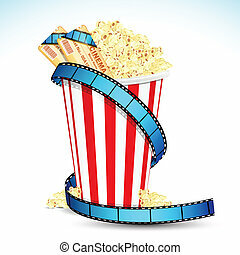 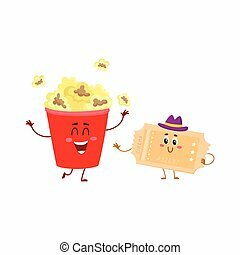 Popcorn bowl, disposable cup for drinks with straw, film strip and ticket. 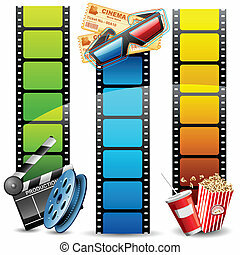 Cinema attributes. 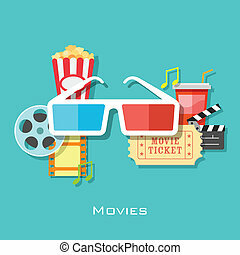 Detailed vector illustration.